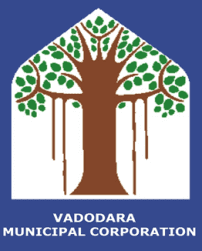 Vadodara Smart City Development Limited (VSCDL) published an official notification for Recruitment of Company Secretary (CS) & SAP Manager for 02 posts. Eligible candidates can apply for this recruitment. You can view more details about this recruitment including No. of posts, name of post, Educational qualification, Age limit, Selection process, How to apply etc... You can also view official notification and other important facts about this recruitment e.g. Important links and Important dates. Member of the Institute of Company Secretaries of India. Post-qualification Experience Not less than 3 years of Post qualification experience in the field of Company Secretary in Company. Good communication skill in English, Hindi & Gujarati language. Computer skills should be essential. Fulltime BE/B.Com/B.Sc/BCA with minimum 60% from reputed institute. Minimum 5 years of post-qualification experience in SAP as a Project Management or Consultant in ECC 6.0 or above. SAP certified Professional /Certified Financial Consultant. Good communication skill in English, Hindi & Gujarati language. Computer skills should be essential. Address: Sardar Patel Planetarium, Sayaji baug, Vadodara.